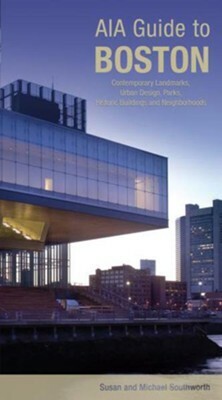 The most comprehensive guide to Boston architecture ever published, AIA Guide to Boston Architecture documents the dramatic reorganization of the city by the Big Dig and other recent projects. Lucid descriptions of more than 600 sites are enlivened with history, culture, humor, and sharp opinion and are accompanied by professional b/w photography. Michael Southworth is Professor of Urban Design and Planning at the University of California at Berkeley, a Fellow in the American Institute of Architects, and a Charter Member of the American Institute of Certified Planners. He is also the North American editor for The Journal of Urban Design. Michael and Susan Southworth have practiced urban, planning and architecture in Boston and in the San Francisco Bay area. I'm the author/artist and I want to review AIA Guide to Boston, 3rd.